Heathfield Benefice is the Church of England in Your Community and we are here to support you every step of the way. 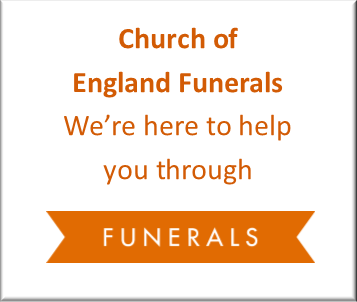 A Church of England funeral is available to everyone, giving support before, during and after the service. We hope this page will be a helpful guide to answer some of your questions. The Church of England 'Funerals' website has a lot of information explaining the help available, a service walkthrough, and guidance on how to arrange a funeral. It also answers questions you may have if attending a funeral, as well as a section on 'my funeral plans'. Burials have been taking place in the churchyard at All Saints’ Church in Old Heathfield for hundreds of years, and it is one of the largest churchyards in Sussex. However, due to the high demand for burials in this beautiful and tranquil spot, we have very limited spaces left for future burials. We are exploring opportunities to create a new area for burials within the churchyard, but this will still only provide a limited number. If you would like to arrange for the burial of a loved one in the churchyard, please speak in the first instance to the Vicar, Reverend Mitch, who will be able to advise you further (see contact details below). Read a copy of the burial policy. Sometimes families want to arrange for the ashes of a loved one to be buried in a Churchyard, either in a family grave or in a Garden of Remembrance. We can provide a short, grave-side service at which the remains of a loved one are laid to rest. Lighting a candle can be a helpful way to pray for someone. You can do this in a church, or light a virtual candle online on the Church of England 'Funerals' - light a candle website page. Surround all those I love, who I can no longer see.